Updated 3/16/2018 Cut 204. 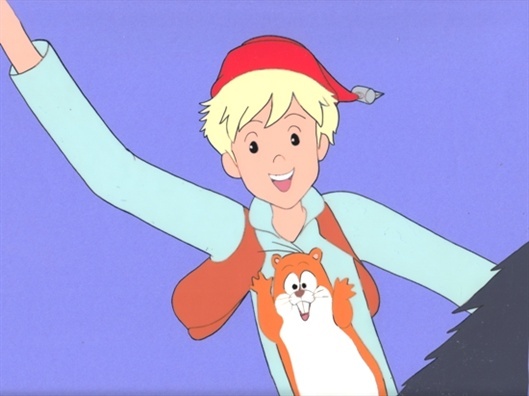 This cheerful oversized cel of Nils and Carrot came up for auction randomly. It is especially good of the two aviators, presumably waving good-bye to a friend they have met or returning to their flockmates after an adventure. Sequence number: A43. 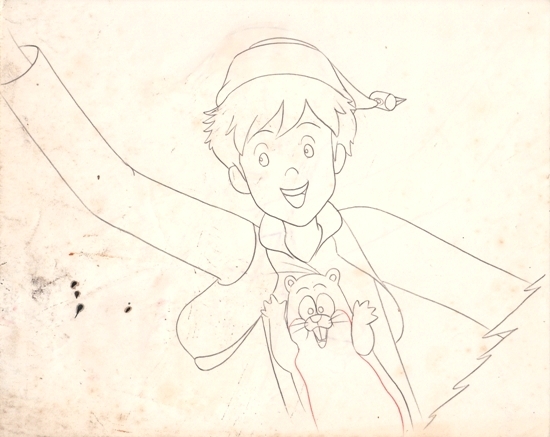 Interestingly, the cel was oversized in both dimensions, though the sketch was the usual size. That suggests that the cut included some kind of camera pan that required the cels to be somewhat larger than normal.